More and more Americans consider coffee their drink of choice. According to a study done by the National Coffee Association, 62% of all Americans say they drink coffee regularly, compared to the 57% last year. The explanation for the rapid rise in the number of coffee drinkers isn’t clear. 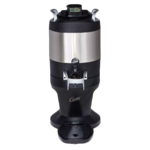 However, coffee experts believe the growing popularity of gourmet coffee blends, which have superior flavors over a plain ol’ cup of joe, may have attracted non-coffee drinkers into the fold. It may also be because of studies being highlighted by mainstream media touting the health benefits of chugging down a cup of coffee or two every day. If a relatively inexpensive drink can help you lose weight, protect you from heart disease, type-2- diabetes, liver damage, Alzheimer’s disease, and even depression, all while giving you a jolt of energy to help you last through the day, it’s no wonder why more people are flocking to coffee shops for their daily dose. Of course, there’s a ton of competition for coffee shops, too. To help your business get a unique edge in 2019, take a look at some of the current crazes in coffee that experts say may grow into full-blown trends in the near future. 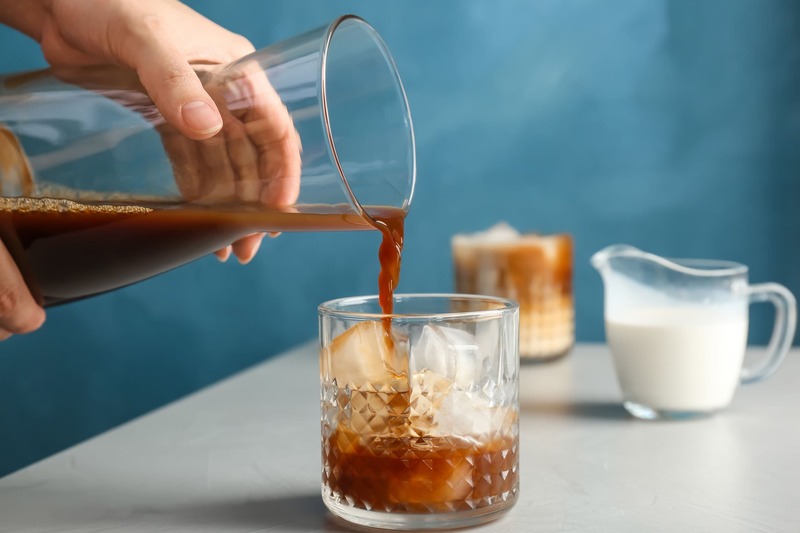 Iced coffee is the perfect pick-me-up for sweltering hot summers, but lukewarm coffee poured over ice can be either be too acidic, bitter, or bland. Cold-brew coffee is the perfect alternative. 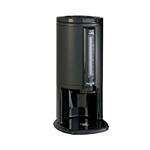 Cold-brewing is a method that involves steeping coarsely ground coffee beans in cold water for 12 to 24 hours. 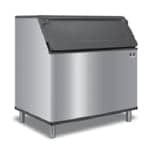 It can be left on the countertop overnight or inside the refrigerator. Either way, the result is a highly oxidized coffee that has a sweet, mellow flavor. Because the coffee isn’t exposed to any heat at all, it doesn’t have the same bitter or acidic tastes as other coffees brewed another way. There’s also no reason to worry about watery iced coffee because you’re in complete control of the dilution. There’s a new trend among fitness buffs and keto aficionados called Bulletproof Coffee, which is coffee with a dash of grass-fed butter and MCT oil. Proponents of this new type of health drink say the combination gives you a good energy boost that lasts throughout the day and doesn’t plunge into a caffeine crash. They also believe drinking Bulletproof Coffee every day provides mental alertness and suppresses the appetite. But Bulletproof Coffee is a brand created by author and entrepreneur Dave Asprey. He specifically advocates for the use of unsalted grass-fed butter and MCT oil. While these ingredients may be a hassle to come by in some areas, some coffee shops are offering buttered coffee instead. Buttered coffee can use grass-fed butter and MCT oil, but you can also substitute with ghee and coconut oil. These ingredients can give you the same creamy, foamy concoction that can be used to replace the sugar-loaded, calorie-bomb frappes. In the past, coffee producers collected the coffee beans from the coffee cherries and discarded the husk. In recent years, however, specialty coffee shops have realized that the husks, called cascaras, can be brewed in hot water and sipped like any other fruit infusion. Moreover, health buffs have discovered that cascara is its own superfood, offering certain nutrients apart from those found in the coffee beans. For instance, cascara has been shown to have more iron than spinach, more protein than kale, more fiber than whole-grain flour, and more antioxidants than a pomegranate. 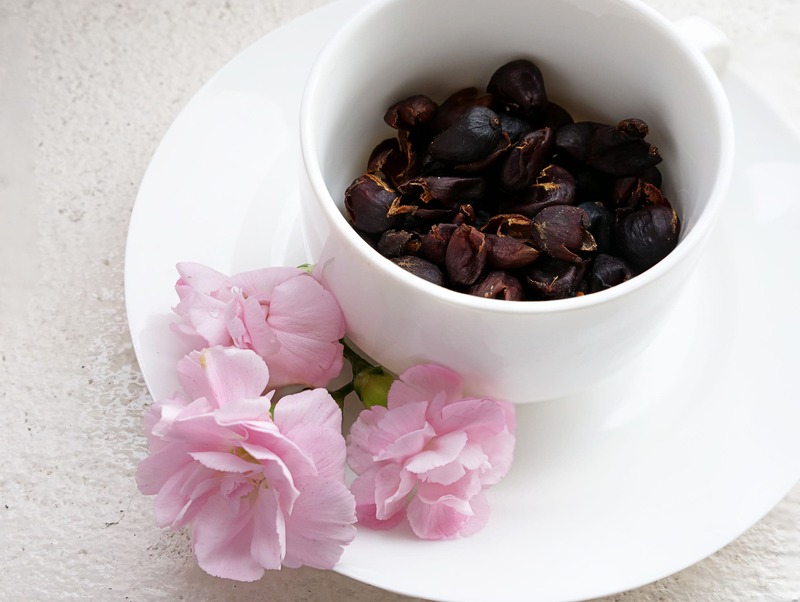 While modern-day coffee shops are only catching up to this new trend, coffee farmers in Yemen and Ethiopia have actually been steeping cascara in hot water for hundreds of years. But what does cascara tea taste like? It’s not a proper tea since it doesn’t come from the camellia sinensis plant. It doesn’t taste like coffee either. Cascara tea lovers describe it as having the sweet, fruity flavors of cherry, hibiscus, red currant, or mango, depending on where the coffee was harvested. Other flavors also include rose hip and tobacco. Gyms and fitness centers across the country are starting to offer a futuristic-sounding drink called nitro coffee, but what’s really in there? Nitro coffee is simply a cold-brew coffee infused with tasteless, colorless, scentless nitrogen gas. 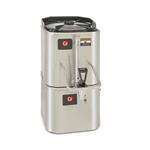 The coffee is usually stored inside a pressurized keg and poured via a pressurized valve with small holes in it. This creates a nice, velvety texture that ends up with a creamy foam on top, without having to add sugar, milk, creamer, or other sweeteners. Basically, it’s an indulgent coffee drink without the guilt, which is why health enthusiasts have no qualms about drinking it. Chemex is a classic coffee maker that first made an appearance in the 1940s. It has been making a comeback in recent years and is expected to be a hit with coffee aficionados in 2019. 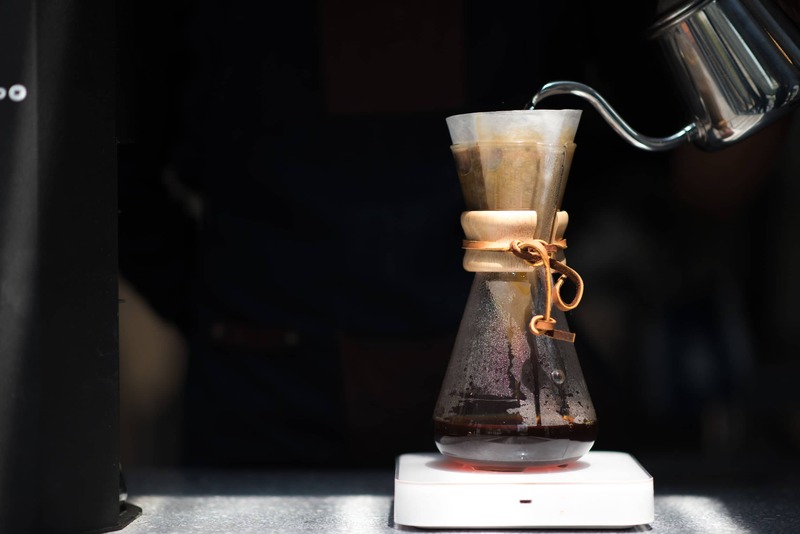 Chemex is an hourglass-shaped coffee maker made of borosilicate glass. It uses a special type of filter typically thicker than those used for pour-over coffee. This bond paper-thick filter takes out most of the oils from the coffee beans and delivers fresher, “cleaner” coffee with smooth, citrusy notes. It’s no surprise that dairy milk sales have been continuously dwindling since 2012. With the rise in awareness about allergies and digestive problems caused by dairy products, more coffee drinkers will be clamoring for non-dairy alternatives in the coming year. Soy, almond, and lactose-free products have become very common, but you can go adventurous and try on other alternative milk products. Some interesting options you can look into include coconut, macadamia, rice, oat, cashew, pecan, hazelnut, and flax milks. Cannabodiol, more popularly known as CBD, is being touted by proponents as a miracle cure for a wide range of diseases, including chronic pain, anxiety, epilepsy, and the side effects of chemotherapy. Clearly, more research is needed to prove these claims, but nothing is stopping its advocates from offering CBD-infused cold-brew coffee. If you do plan to offer CBD in your coffee shop menu, pay attention to the technicalities and make sure it is legal to do so in your state. Currently, only eight states in the United States have legalized CBD for recreational use, including Alaska, California, Colorado, Maine, Massachusetts, Nevada, Oregon, and Washington.